Take your spider display to new heights of horror with the creepiness of blood, without the hassle and mess of adding it yourself. Prestained gauze cloth, tattered, okay for outdoor displays. 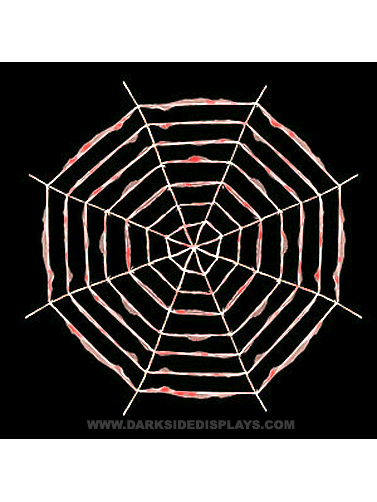 Bloody Gauze Spider Web measures a large 9'H. Spider sold separately.